Currently viewing the tag: "other peoples money"
Rob Moore has just released a step by step, zero-to-multi-millionaire Property Investor Roadmap that will show You how to easily pinpoint your next cash-generating investment. And the best part is You can get a copy right now, at no cost. Rob is one half of a £25Million Property Joint Venture, 3-time best-selling property author, expert property trainer, and has a track record of predicting property investment trends and opportunities. Starting out just 5 years ago (as a struggling artist with 30k of credit card debt) he developed a key strategy (using Other People’s Money!) 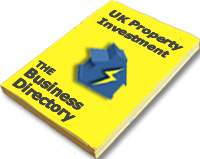 to educate himself an build up a property portfolio of over 350 properties. 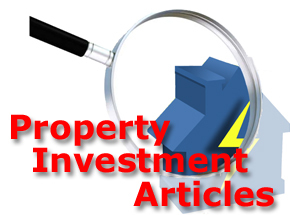 So if you’re already an investor, are interested in property, or want to know how to go from zero to full-time investor easily, then you MUST read this report. The ‘overwhelm mentality’ that has burnt-out so many promising investors, why so many investors fall victim to it, and why it’s preventing you from achieving the results you deserve. How to identify which of the 6 key stages of the Investor Roadmap you are in, and how to leverage Your skills, assets, and experience to BREAK THROUGH to the next stage – maximizing your income and long-term wealth, and creating the lifestyle you really want. AND: The ONE THING you need to be sure that you’re using the best strategy now, and in 12 months time – whether you’re a beginner or an experienced investor. So make sure you grab this life changing report while you still can. Just download the report and put these ideas into action in your Property business immediately. P.S – It’s worth mentioning that Rob’s insights have been featured in media outlets around the globe including The Wall Street Journal, Newsweek, BBC, NBC, FOX, and MSNBC…to name a few. Now’s your chance to be the first to read and act on Rob’s latest step-by-step strategies in his new report.